Everyday millions of people go to a job they’re unhappy at and struggle with whether they should invest the time and energy to improve their situation or cut their losses and move on. If you are struggling with this I am telling you that yes, you should invest the energy and here’s how and why you should do it. But first let’s take a quick look at why you’re probably unhappy at work. The most common reason by my experience is that you’ve been denied something that you desire. This could be a promotion, an opportunity to travel or lead a presentation. It could be that you simply desire a better work/life balance and have been required to travel excessively or work six consecutive weekends in a row. However another very common cause for distress is feeling alienated by your company’s culture. This could range from feeling like you have little to nothing in common with your colleagues to being outright ostracized by a prejudice towards your gender, race, or age. The reality is millions of people everyday are tolerating unhealthy and unproductive work environments that they don’t realize they can influence and change. Whatever your individual challenge(s) though, I have found that what is usually precipitating these conflicts is you and your employer either not sharing or not understanding each other’s values and beliefs which results in an absence of compassion and trust in each other. And an absence of trust discourages you from bringing your very best to the table which not only denies you opportunities for self-fulfillment but exacerbates everyone’s frustration. Now that you understand why you’re unhappy, let’s talk about what trust is and what trust is not. Trust(n) is the component of a relationship that firmly bonds two people with a common set of experiences, values and beliefs. It is the vehicle that allows people to cooperate with one another in meaningful ways. It is also the steadfast belief that the other person will consistently look out for our happiness and best interests. It is also the foundation of the complex emotions of loyalty and love. Trust is not the same as reliability which is the consistent delivery of a quality or service. For example you can say Matt is reliable because he shows up to work every morning on time or Sarah is reliable because you can depend on her to always hit her deadlines but based on these qualities alone you would never say that these people have earned your trust. Think about it. Trust is so much more. So where does it come from and how do we establish it with one another? Think about a good friend that you trust. What experiences have you shared that have allowed you to earn each other’s trust? Share something fundamental like a hobby, interest or perhaps we’re from the same place. Live by a common philosophy and share the same values and beliefs. Highly value and celebrate some quality, skill or ability in each other. Have been through a difficult experience together that proved that we genuinely care about each other’s health, happiness and success. Trust ultimately results from making the other person feel safe and secure. The first step of establishing trust is to show someone that they are just like you in some way. Whenever I start a new job I give a short presentation about myself. I talk about where I’m from and how I eventually made my way to California. I give a brief tour of my career and talk about my family, hobbies and interests. In general I cover a broad and diverse range of information about myself yet I keep it high level and under ten minutes. The point of the talk is not to saturate people with an overly detailed account of my life story or to herald specific moments of my life but to give the audience enough surface level information that will allow them to connect with me in some way. On another occasion someone approached me about my filmmaking experience and wanted to talk with me about their favorite films. As social animals we’re naturally attracted to people we have something in common with. We label groups of people with similar interests, values and beliefs a culture. Participation within a culture allows for us to experience social acceptance, compassion and cooperation all of which are necessary for our survival. However engaging with people outside of our culture offers us the valuable opportunity to reflect on, challenge and refine our beliefs which of course is equally important for growth. The key is to see the value in everyone. 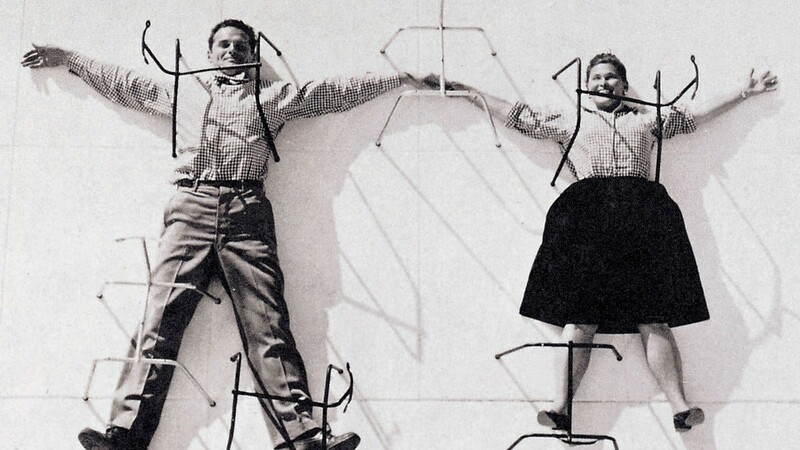 Charles and Ray Eames Perhaps the greatest collaborators of all time? The second step of establishing trust is to remind someone why the thing you both have in common is important. A couple weeks after I give my intro presentation I follow it up with what I call the “Why Talk”. In this presentation I focus on two specific chapters of my career, filmmaking and technology. I talk about what inspired me to become a filmmaker, the challenges and highlights I experienced and what I learned along the way. I then talk about why I eventually segued from filmmaking into technology and the common themes that I see between the two industries. The point of this talk is to start connecting the dots. To share what motivated me to get into each of these industries in the first place and why I consciously chose to dedicate decades of my life to them. It is a discussion of why instead of what. After I gave this talk at my last job my colleague from NJ came up to me and told me he really enjoyed hearing about my experience as a filmmaker and started to tell me about when he used to race motocross. 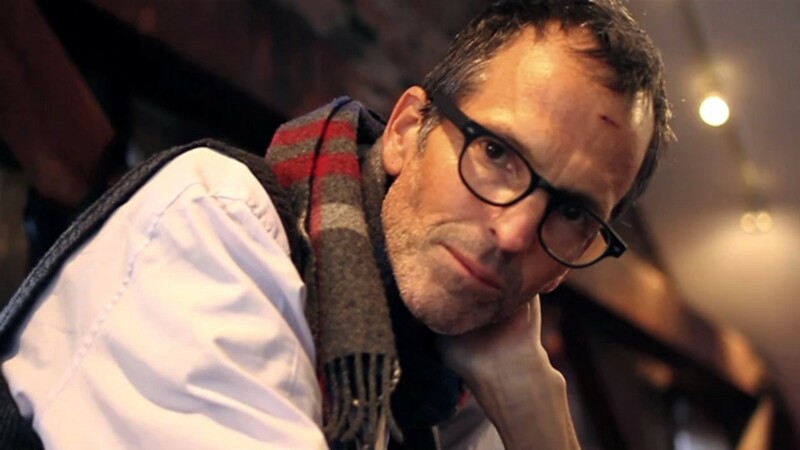 Now filmmaking and motocross may not appear to have much in common but what he helped me understand was that both of these activities require a tremendous amount of technical precision and collaboration for them to be successful. As we talked I also learned that we both deeply value an attention to detail. The third step of establishing trust is to bring a valuable quality, skill or ability to the relationship. This is the easiest part for most people because you’re already amazing at something that other people value in you. If you’re unsure of what that is try asking a close friend, I’m sure they’ll be happy to tell you. By investing the time and energy into these activities you’ll not only become a better practitioner of your craft and a better communicator, you’ll also help other like-minded people and potential future collaborators find you. Ok. Now back to your job. I know you’re frustrated. I’ve been there, I really have. So why invest the time and energy into an attempt to improve the situation instead of just packing your bags and getting the hell out of there? Because you have everything to gain and absolutely nothing to lose. If your situation improves you win and if your situation does not improve you leave knowing that you tried and take with you the experiences gained from your efforts which is still very much a win in my books. But before you start investing it’s important to set a boundary on long you’re willing to wait to see if your colleagues are willing (and able) to help you build that bridge. I suggest ninety days. Start with a short presentation about yourself that covers the basics and before you begin encourage your audience to ask questions. Take notice of those that engage you and if you’ve had conflict with someone in the past really try to see this person as a new friend you’ve just met for the first time. After your first presentation work to continue the conversation. Try giving your own “why talk” and/or organize a workshop that will allow others to better understand your strengths. Keep feeding those around you by sharing your inspirations. Show your colleagues you actually care about them by asking what you can do to help. I know some work cultures make it very difficult to open up about yourself so let the positive forces in your life instill confidence as you peel back the layers and let others in. Although it may often feel like it, you are not alone in a vacuum and there’s a good chance that the person sitting next to you is quietly struggling with all this too. As you open up and others engage you ask yourself if you are aligning with people that are complimenting your strengths. The goal ultimately is to spend your time and energy with the people who bring out the very best in you, who provide you with an opportunity to learn and to grow and a way to give back. At the end of the day our lives are defined by the sum of our relationships. Be intentional with whom you spend your limited time and energy with. Help the people who can help you find you. Thanks to Sven Winter and Amichi Amar.